Mr. Weldon began his legal career in 2000. 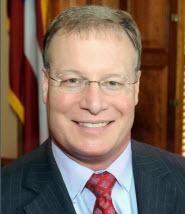 He has worked diligently to build a reputation as one of North Georgia's leading attorneys. Today, his reputation is solid, which leads countless clients to our law firm each year for help during some of life's most difficult moments. Whether your legal need stems from the negligence of another individual, business or professional or you face a criminal charge, you can turn to Weldon Law Firm for the help you need to face your legal challenge with confidence. If you would like to learn more about the services we offer and how we can help you, we invite you to take advantage of our offer for a free initial consultation at our law office in Ringgold.